Bit by bit I'm making progress on my quilt-as-you-go projects that I wrote about last month. All 25 blocks are now done for the bento box quilt. I really struggled with these blocks for reasons I'm still not clear on but once they were cut into quarters and rearranged into the final blocks things got better. I had to clear a wall in my bedroom and put up a queen sized piece of batting in order to have enough design space to work. Not the best lighting but I go to bed staring at all the fun fabric combinations. 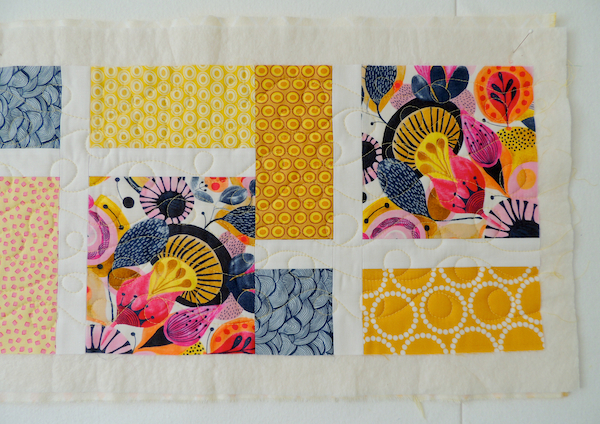 I chose spiral quilting for the blocks and so far have 3 done. 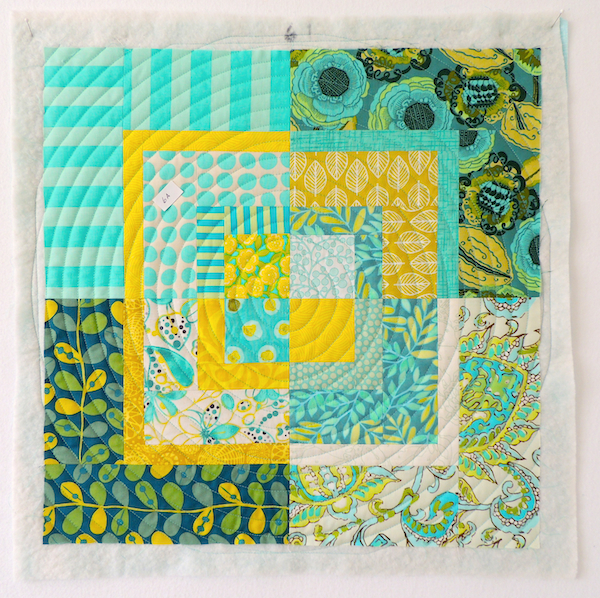 It's just so much easier to spiral quilt something small. 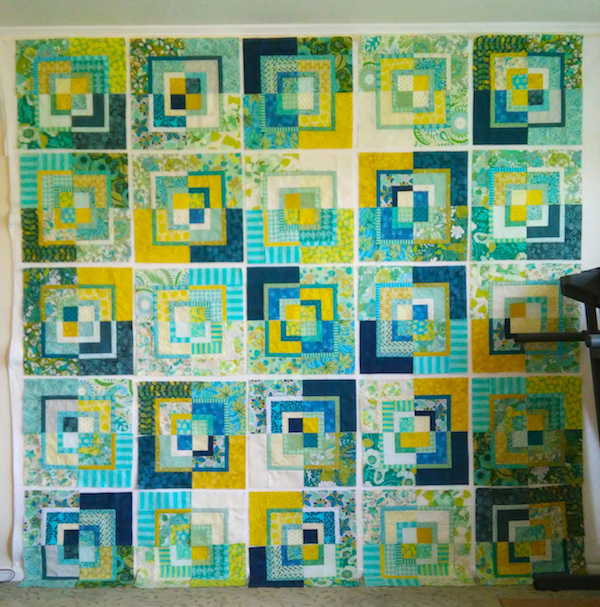 I also finally made an attempt at free motion quilting the first row of my disappearing 9-patch quilt today. I'm using a new to me QAYG method for this one and am hoping it works. 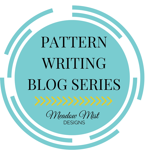 If this method goes well I might use it to make a new version of my Cascade pattern because the design lends itself well to quilting in columns. I've only got a month to go before my QAYG presentation for my guild. Now that I'm getting the swing of things, there are so many other ideas I'd like to make as samples. Just not sure if I'll have time. I'll write a more thorough post about the whole experience later in September. Until then, hope you're enjoying summer and your making.